Paul “Doc” Gaccione is a former Lyndhurst resident, author and convicted murderer currently housed at Clinton Correctional Facility in Dannemora, NY. A reputed mobster, Gaccione was convicted and sentenced to 20 years to life in 2012 of second degree murder in connection to a gangland hit 24 years ago. The e-book version published in late July, and a paper version was scheduled for release sometime in October. It comes on the heels of his first book, “Beyond the Beyond My Journey to Destiny" –- a memoir of his childhood in Lyndhurst, spending time in jail due to a drug conviction, and an inexplicable spiritual connection. Both books are published by Arizona-based Brighton Publishing. “The Godfather of Souls” chronicles Gaccione’s time in prison and how he mentored a young black man who was serving a 13-year prison sentence in the neighboring cell. During his incarceration, Gaccione said much of his time has been devoted to writing, but he also makes an effort to mentor many inmates, especially youths. In “The Godfather of Souls,” Gaccione said he began teaching the young man, Puna, how to read and write cursive and was very impressed with Puna’s intellect and ability to learn quickly. “This really interested me because I’m a strong believer that most people are influences and become a product of their environment,” Gaccione said. The book takes readers on a journey through Gaccione’s relationship with Puna and how he did what he could to be a positive influence on the young man’s life. Gaccione believes he was led to Brighton Publishing due to destiny, McGuire said. Gaccione had been in a bookstore with his girlfriend looking at publishers’ names when she picked up a book published by Brighton and told Gaccione that is who would publish his book. Soon after, Gaccione sent a paper manuscript to Brighton Publishing. The mailman entered Brighton Publishing’s building through a door that was normally locked. He found the publisher, who was on the phone, and placed the package on her desk before leaving. Gaccione believes this series of events was fate. McGuire, on the other hand, chalks it up to a series of coincidences. Coincidences such as just like McGuire being a retired detective with the Los Angeles Police Department and then helping an alleged mobster publish his books, he said. Despite his conviction, Gaccione maintains his innocence and cites in a letter to the South Bergenite that he had ineffective counsel when convicted. He is currently waiting the result of his appeal. Gaccione was accused of being the driver in a mob-related hit over 20 years ago in the Bronx. 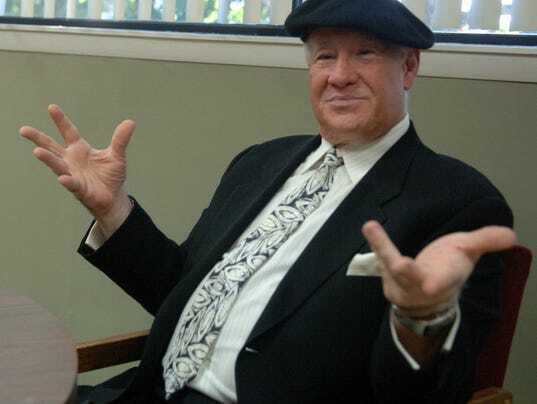 In April 2010, Bronx District Attorney Robert T. Johnson accused Gaccione of being the driver of a van that was used in a hit on 32-year-old Angelo Sangiuolo, who was killed for allegedly robbing the Genovese crime family gambling operations. The victim’s cousin was convicted and sentenced to life in prison in 2009 for orchestrating the hit. “I had ineffective counsel by not putting on a defense where I could have proved with my many witnesses, without any doubt, my innocence,” Gaccione says in a letter written to the South Bergenite. Gaccione claims that because of the $1 million bail his “soul mate” and children provided, he was unable to hire a lawyer and was assigned to Michael Torres, a court appointed attorney. Gaccione contends the prosecution’s case was not based on anything other than eyewitness accounts of John Leto and John Mamone. “The entire trial was the prosecution’s case being allegations without absolutely anything to back up their claims,” Gaccione wrote. Leto, the alleged triggerman, later pleaded guilty and cooperated with federal authorities, according to published reports. Leto had told police Gaccione was manning the vehicle. Mamone alleges Gaccione told him about the hit after picking him up from JFK Airport. Gaccione is not eligible for parole until September 2031 and his earliest release date is Jan. 29, 2032.